To make the people aware of the hazards of plastics, the government has banned the use of plastic flags on National Days. Groups are made aware of these regulations through the campaigns. With an aim to draw people’s attention towards increasing human habitations in wetland areas, the destruction of mangrove habitats, harmful effects of pollution on mangroves & aquatic animals, the World Wetland day conference is arranged. These conferences are organized in collaboration with colleges, local government bodies to encourage youth to take up research in this area. Awareness is created about the reducing green cover due to human activities and the need of forest conservation on this day. A nature trail is conducted in a forest to enjoy the beautiful forest. Awareness about water- Lectures, exhibitions, competitions, state level poster, competitions on the use, importance, need for the conservation of water are arranged. 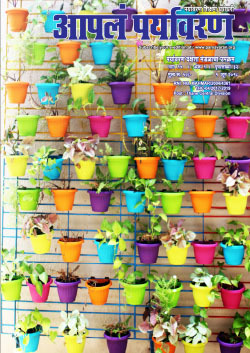 Groups are encouraged to set up rain water harvesting plants. On this day exhibitions on water with the help of local government bodies are organized. On this day awareness generation with an aim to make the people change their habits so as to become more environment friendly to conserve the environment of Mother Earth. Trails are arranged on this day to various places to introduce people to the rich biodiversity around them. It is an effort to explain the importance of each organism in nature’s cycles. People are also made aware of the threats created by human beings to these organisms. 5th June is celebrated as World Environment Day all over the world. On this occasion Vasundhara Short Film Festival is conducted by PDM and MPCB every year since 2008. Film entries from all over Maharashtra come for this festival. Through this medium of films, awareness is created among masses for environment and biodiversity conservation. PDM simultaneously conducts environmental awareness programmes on this day in corporate organisations, communities, schools & colleges. From the past five years this year is celebrated as Plastic Carry bag free day. There are workshops conducted every year in various schools, institutions and organizations to make cloth bags from old clothes and paper bags from old papers/khaki papers. 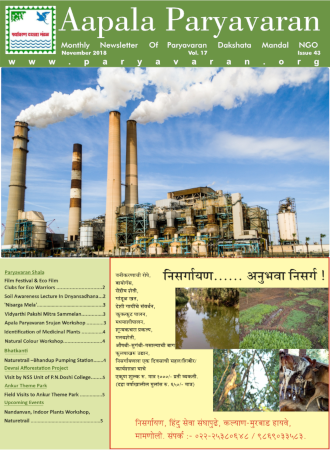 PDM was founded by a group of environmental enthusiasts on 9th July 1999. The 1st celebration of this foundation day started after ten years at Gadkari Rangaytan, Thane and was registered on 9th July 2009. PDM started celebrating World Mangrove Day since 26th July 2015 in collaboration with Mangrove Scociety Of India and BNB College Of Science. 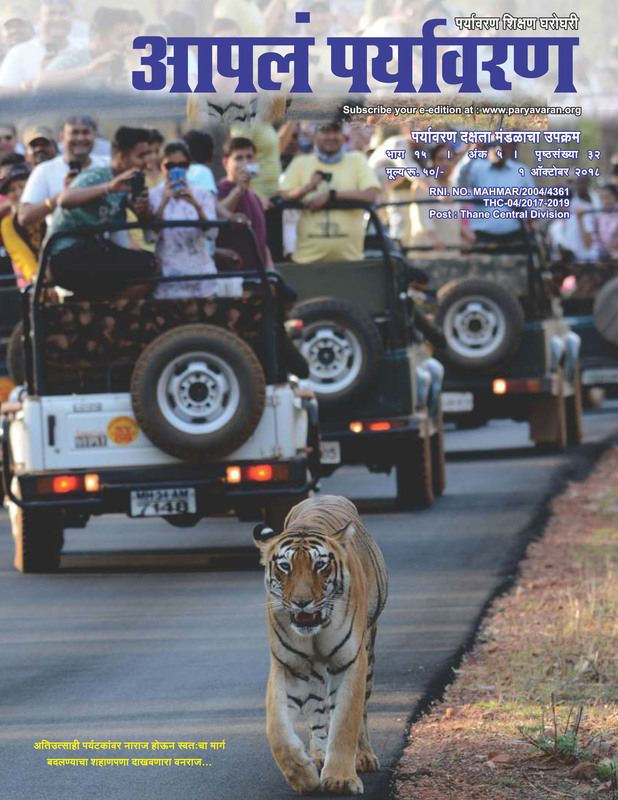 PDM conducts Thane Creek Safari every year. Henceforth Mangrove Conference event will be held every year at different venues simultaneously. ‘Nisargamela’ is arranged to spread awareness about wildlife. Students learn various things about nature, environment through various games, competitions etc. This programme is being conducted for last ten years. Efforts are being made to conduct such Nisarg Melas in places outside Thane. Various events such as rallies, elocution competitions are arranged on this day which is declared as anti-pollution day in the memory of Bhopal Gas tragedy. Film festivals are arranged for school students too. Nandanvan is a very innovative and novel competition that the organization has been conducting for four years. The objective of this event is to encourage all those garden lovers who grow whatever little they can in whatever space is available to them. Every year awareness is created and campaigns are done like ‘Clean Creek Movement’ for Thane Creek’s conservation and cleanliness. PDM is fighting a case against Mangrove destruction at Thane Creek. This case is still running at National Green Tribunal(NGT). PDM also has archive of hundreds of documentary films and short films in sixteen categories like wildlife, birds, biodiversity of lakes, rivers, wetlands and oceans, forest, nature, environment, water, land and agriculture, sustainable development, energy, solid waste management, sanitation, climate change, eco-friendly festivals, pollution (air, water, sound, e-waste, radiation-health, food pollution), animation films, people and poverty. These films are mainly in hindi, marathi and english. These films are screened during film festivals, awareness talks in schools, colleges, in PDM offices etc. These films are collected by organising film festivals every year. Vasundhara short film competition of three days is one such major film festival that is a joint effort of PDM and MPCB (Maharashtra Pollution Control Board) organised every year since 2008. 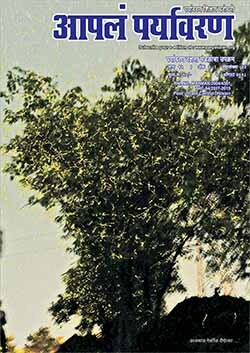 PDM has named this Film Festival as Aapala Paryavaran Laghupat Mahotsav. Every year films from professional and amateur category are screened at Yashwantrao Chavan, Nariman Point or Ravindra Natya Mandir, Dadar. This festival is attended by the participating filmmakers, students and nature lovers. Guidance and help is also provided to make environmental short films. It is inaugurated by Chief Minister, State Ministers and other dignitaries of MPCB also attend inauguration ceremony. Winners are felicitated by cash prize, trophies and certificates and local newspapers cover this event. Many institutions, people have participated in these film festivals. Eight Film festivals were conducted from the past eight years. Since 2009 a huge film festival of three days for school students is arranged at Gadkari Rangaytan, Thane since 2009. Every year the theme of the festival changes and around 6,000 students attend it and is always a huge success. This year the theme was solid waste management, water conservation, last year it was wildlife and previous to that birds. Every year films from CMS Vatavaran (Environment and Wildlife Film Festival, India Habitat Centre, New Delhi) are added to the film archives. 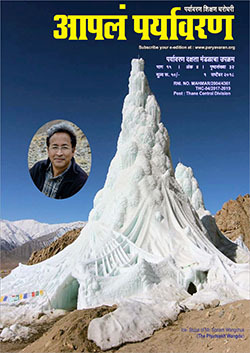 PDM is also associated with Centre for Science and Environment (CSE) from the past sixteen years and have multiple films of this organisation in its archives. PDM (Kalyan and Dombivli branch) have conducted two film festivals from the past two years with the support of Rotary Club, Inner Wheel and Kalyan Mahila Mandal. MahaSuryakumbha was a partnering activity of PDM with Keshav Shrushti. It is a ‘Solar Cooking’ activity to educate & create awareness about “Solar Energy”. Maha-suryakumbh also received recognition from Guinness World Records, Limca Book of Records, Asia Book and India Book of records. Paryavaran Dakshata Mandal spreads awareness about solar energy by using this solar cooker as a teaching aid. This year Paryavaran Dakshata Mandal reached around 20000 students & nearby 85 schools in Thane district.